It’s no secret that American schools have a problem with overcrowding. With enrollment and graduation on the rise at the college level, it presents many schools with an age-old problem: Where are we going to put all of our students? 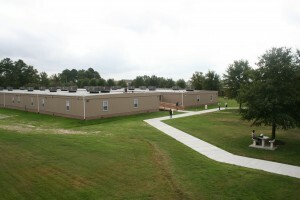 In 2011, Wilmot Modular was contacted by a local college and tasked with providing nearly 30,000 feet of classroom space. We had certainly done jobs of this scale before, but this one had a catch. It had to be operational by the time students returned for the fall semester... so with only 90 days before the bell rang Wilmot set about the task. 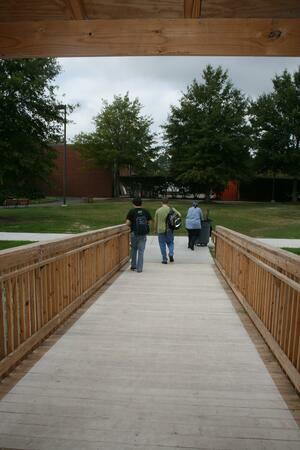 The building was designed and comprised of 36 individual sections that were manufactured offsite and shipped to the college, where Wilmot completed assembly. 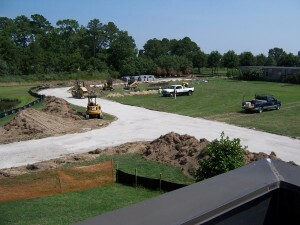 One of the biggest advantages of using the modular construction method is that while the building is being constructed in the factory, we can begin working to prepare the site. Being a multi-year lease, this project was designed with longevity in mind -- both in terms of utility and cosmetics. 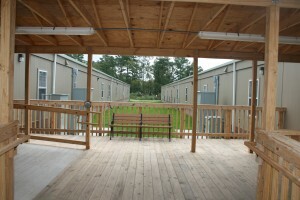 Outside, the facility was as much form as function. 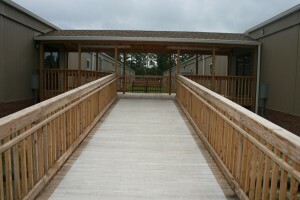 The buildings were assembled in two groups and a covered deck was constructed to connect them and shield students from the elements. And another leading up to the deck. 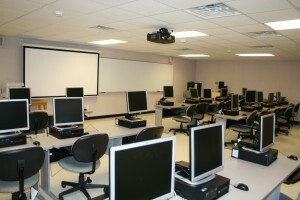 Inside, the classrooms featured state-of-the-art infrastructure to support the banks of computers, projectors, and other technology vital to a modern education setting. 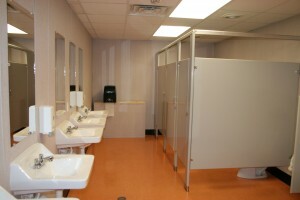 The facility also featured full service restrooms. And best of all it was up and running in time for students to return to class! 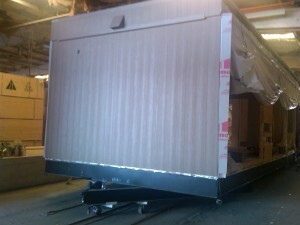 In recent years, the construction industry has begun to seriously consider modular buildings and now recognizes the tremendous advantages that come with this type of accelerated construction. Modular construction is faster than stick building; just last month a Chinese construction firm announced plans to build the world’s tallest building using modular units. They plan to erect the building in only 90 days. Shorter duration equals less labor costs, less downtime, reduced interruptions on-site as well as faster recovery of investment. 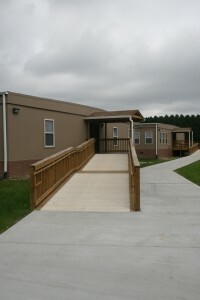 So the next time your school needs space and needs it quickly, give modular construction some consideration. As an added bonus, when student enrollments change, square footage can be added or reduced to meet the demand. It’s an “A” for everyone!